The data reflect the uneven landscape of state-based subsidies for pure-electric cars, such as the Nissan Leaf, and plug-in hybrids like the Chevy Volt that come with backup gasoline tanks. In California, drivers can receive rebates of up to $2,500 for a Leaf and $1,500 for a Volt. That's on top of an existing federal tax credit of as much as $7,500. In Georgia, would-be buyers can snag an extra tax credit of up to $5,000 for “zero emissions vehicles,” a category that includes both electric and hydrogen-powered cars. 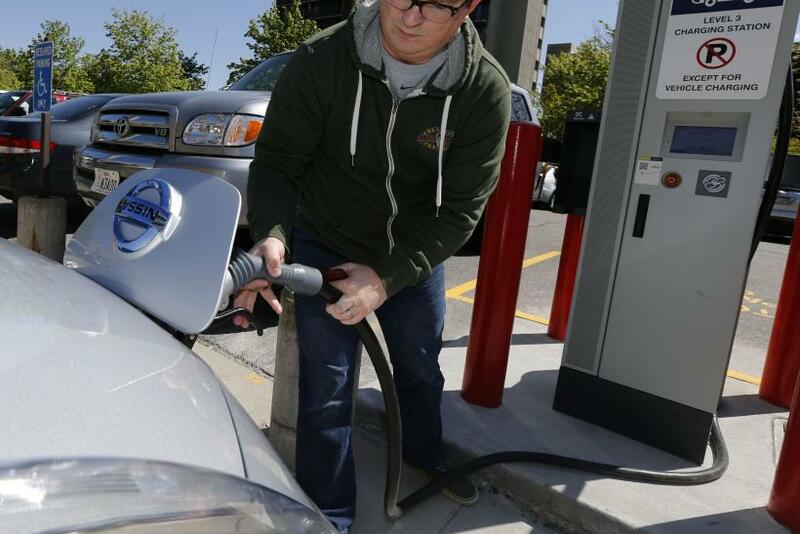 Across the country, Americans owned about 70,000 pure-electric cars and 104,000 plug-in hybrids in 2013, the EIA said. Combined, that’s equal to roughly 0.07 percent of the 226 million registered vehicles in the United States. Nevertheless, total U.S. sales of electric cars are steadily increasing. About 0.7 percent of new-vehicle sales in 2014 so far were battery powered, up from 0.6 percent for all of 2013 and 0.4 percent in 2012, according to the EIA. Nissan said its U.S. customers bought 35 percent more electric Leaf cars from January to October this year, compared to the same period in 2013. Georgia is on track this year to become the fourth state where electric cars make up more than 1 percent of all new-car sales. 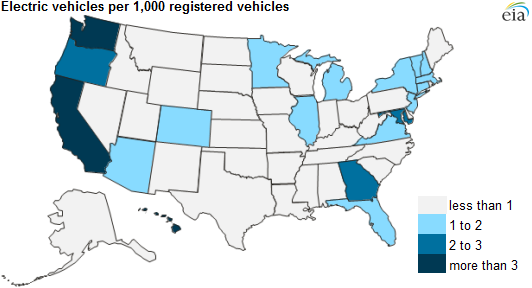 More than half the nation’s electric cars are, perhaps not surprisingly, parked in California. Along with its generous rebate program, the Golden State also has a zero-emissions vehicles mandate, which requires automakers to produce a certain amount of cleaner cars. By 2025, about 15 percent of all new light-duty vehicles sold in California must run on batteries or hydrogen fuel cells. Nine states in the U.S. Northeast have agreed to adopt mandates similar to California’s.